As the UK’s exit from the European Union continues to stir uncertainty throughout the financial sector, Artex Risk Solutions hopes to provide small-to-medium sized brokers with a relatively low-cost and convenient way of continuing operations on the continent with the formation of a Malta-based Protected Cell Company (PCC). Theresa May’s draft EU withdrawal agreement has drawn a mixed reaction from players in the broking and insurance sectors, with the matter of equivalence continuing to stir uncertainty and perpetuate passporting concerns for intermediaries. In recognition of the challenges that a no-deal Brexit would pose, Artex tells us this PCC solution is ideal for smaller brokers who would view setting up a full blown EU operation as onerous and expensive. 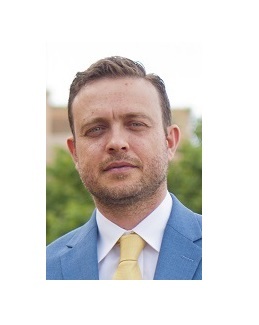 “Artex recognised that many brokers in the UK will be challenged by Brexit and therefore an inability to passport from the UK into the European Union (EU) at some point in the future,” explains Stuart Ciappara, Managing Director at Artex Risk Solutions (Malta). “This is a facility that we believe does not exist elsewhere in Europe,” adds Ciappara. Ciappara states that the firm is seeking to obtain the overall licence and will then make the facility available via cells to UK or possibly even EU-based brokers and other licensed intermediaries seeking to distribute their products throughout the continent. According to Ciappara, the company is seeking to leverage the momentum of Malta’s recent rise to the forefront for the establishment of EU insurance entities. “Innovation is at the core of Artex. Our vision and creativity are evident in the solutions we provide clients, designed to transform today’s challenges into tomorrow’s success,” adds Ciappara.